If your insurance company will not pay your valid claim after a loss, an experienced lawyer is your best option to obtain proper coverage. The Law Office of James C. Spitz helps clients throughout Florida obtain fair compensation for their denied claims. Our attorney is an aggressive Palm Beach County litigator who has practiced insurance law for nearly 30 years. Throughout his legal career, Attorney James C. Spitz has recovered tens of millions of dollars in denied, delayed, and unpaid claims on the behalf of his clients. He is an AV Preeminent peer review rated* attorney from the Martindale-Hubbell rating service. AV Preeminent is the highest possible rating awarded. This rating recognizes Mr. Spitz for his legal ability and adherence to strict ethical standards. People trust their insurance company to offer full coverage for a claim after they sustain a loss. This is unfortunately not always the outcome for the insured. Insurance providers make money by collecting premiums and holding on to them for as long as possible. Insurance companies have countless ways to deny or undervalue your claim. We will represent your best interests in an insurance dispute and work to get you proper payment for your loss or injury. Attorney James C. Spitz is a former insurance defense attorney who understands the tricks insurance companies use to deny or delay coverage. Mr. Spitz obtains the coverage for a loss that an individual, family or business is entitled to receive under their insurance policy. He fights for clients with denied claims for damage to their homes, cars, boats, and other personal or business property. Additionally, Mr. Spitz represents clients injured in an accident such as a vehicle collision, commercial truck crash or fall caused by unsafe property conditions. He will pursue full compensation for his clients from negligent parties and their insurance companies. Our law firm represents clients' with insurance claim disputes and personal injury cases on a contingency fee basis. This means you are not responsible for attorney fees unless we recover compensation for your denied claim or injury. Many of our denied insurance claim clients do not pay any attorney fees. 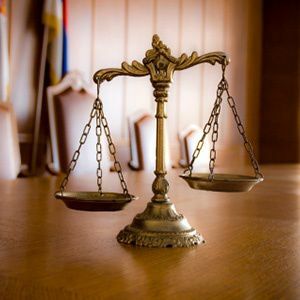 Florida law requires insurance companies to pay the insured's/Plaintiff's attorney's legal costs if the insurance company fails to provide proper coverage. The payment for attorney's fees and costs made by an insurance company is in addition to any other compensation paid for a claim. You can trust our law firm to hold insurance companies responsible for their failure to pay your claim. We represent clients throughout Florida, including but not limited to: Palm Beach, Martin, St. Lucie, Broward and Indian River Counties. Please schedule your free consultation with our knowledgeable attorney by calling 561-202-1481 or sending us an email.